Deadly as ever, Robert Lewandowski’s smart double in Bayern Munich’s 6-0, title-winning victory against Wolfsburg took the Pole’s Bundesliga tally to 28 for the season. Click here to sign up Robert Lewandowski for your Official Fantasy Bundesliga team! “We are happy because we won the most important title for us: our fifth in a row; a very difficult [feat],” the triumphant Torjägerkanone hopeful announced as the Bavarians celebrated. Lewandowski’s eye-catching first from the edge of the box put Bayern 2-0 ahead against Wolfsburg while soon after, the prolific forward made it 3-0 when connecting with Kingsley Coman’s accurate centre. Did Lewandowski impress you enough to win the Matchday 31 #BLMVP award? If so, vote for him now below! 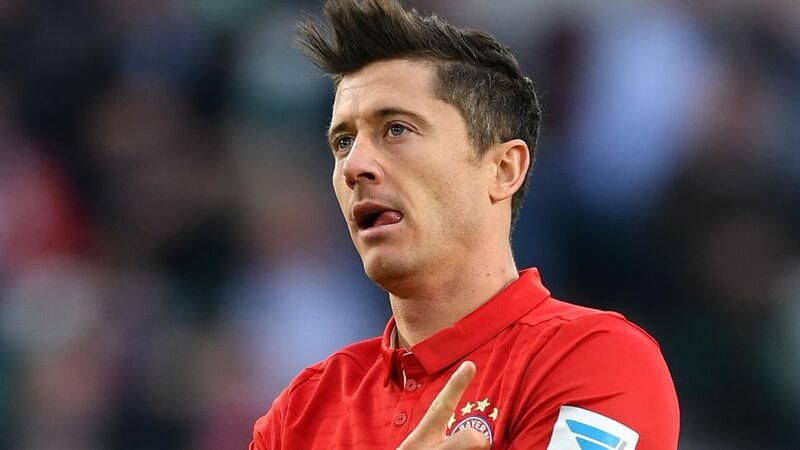 Lewandowski is just two goals shy of his best top-flight haul [30 goals] over a single campaign. The striker has scored 14 goals in 13 Bundesliga games against Wolfsburg.For the tenth time this season, the Polish marksman scored more than once in a game.